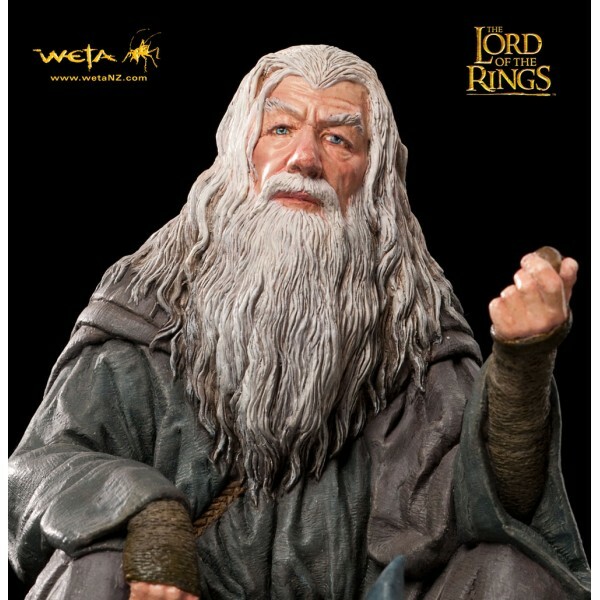 Bilbo´s old friend, an ancient and powerful wizard, Gandalf was a guide to the Fellowship and mentor to Frodo in his quest to destroy the One Ring in the fires of Mount Doom. 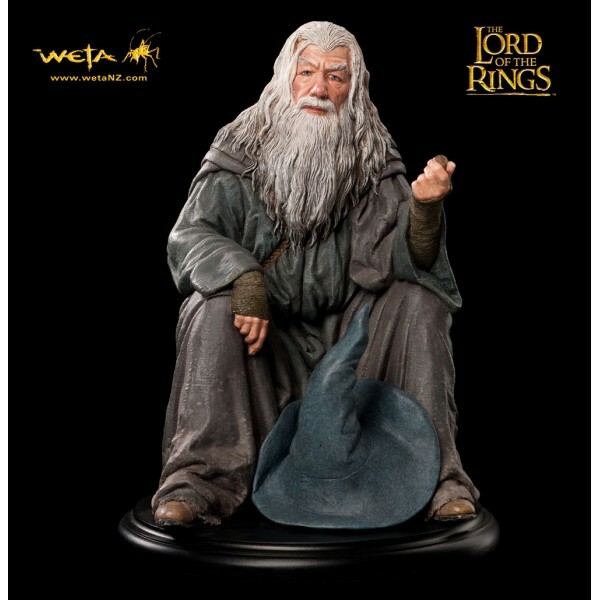 Deep in wisdom and foresight, Gandalf was first to discover the true nature of the ring and took it upon himself to orchestrate the forces of light against the evil advance of Sauron, the dark lord. Last seen by Frodo and his companions plummeting towards certain death from the Bridge of Khazad-Dûm, entwined in struggle with the Balrog, Gandalf´s demise seemed inevitable. Sculpted by Steven Saunders and created by the same artists and craftspeople who work on our movies.